Your gum health is important to your smile and wellness. When your gums begin to recede from the teeth, bleed or become swollen, you may have gingivitis or periodontal disease. This infection of the gum tissue can lead to serious health issues, including tooth and bone loss. If you have noticed your gums are receding, treatment may be needed for gum disease. Our team at Dental Care Center at Kennestone can help you fight gingivitis and rejuvenate the health of your gums with general dentistry. Gingivitis, the early form of periodontal disease, begins when bacteria flourish in the mouth. Brushing and flossing can remove most of these bacteria. However, if tartar forms on the teeth, the bacteria can hide in this calculus formation. As the bacteria attack the gums, they begin to recede away from the tooth root. They can become inflamed, red and bleed easily. At this point, professional treatment is needed to remove the tartar and help the gums heal. The first step in fighting infected gum tissue is a thorough dental cleaning. At the early stages, this can help reverse the onset of gingivitis. Removing the tartar from the teeth is vital to stop the growth of bacteria. In some cases, deep cleanings are needed below the gum line to remove tartar. This can require longer cleaning sessions to thoroughly clean the teeth and stop the bacterial infection. Along with professional cleanings, special mouthwash can be prescribed to use at home with your routine oral hygiene. This can help stop the infection and help your gum tissue heal. With early intervention, gum disease can be reversed in the early stages. 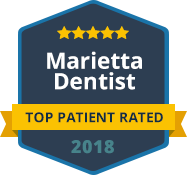 Checkups and cleanings at least twice a year at our office in Marietta can help prevent gum disease. We will provide additional treatment if needed. 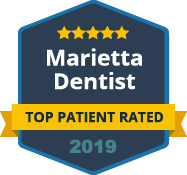 Contact Dental Care Center at Kennestone today for your appointment.